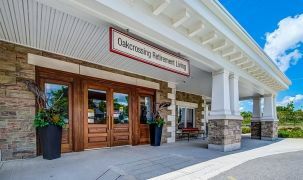 A brand new London-area retirement community, Dorchester Terrace offers lo-rise senior living suites in a perfectly-sized community. This is a full-service community with a number of unexpected luxury aspects, including an in-house movie theatre, spa, and hair salon. Living here, you can let someone else worry about the housekeeping and laundry, while you choose to either participate in many daily activities here, or just relax. The variety of suite sizes, coupled with the many features and amenities, makes this an exceptional contemporary-minded retirement community. Everyday fun stuff includes a games room with billiards, a party room with its own kitchen, and outdoor courtyards where you can relax in the sun with friends. There are many regularly scheduled daily and monthly events on the rec calendar. For casual or quieter times, you can get books out of the in-house library or enjoy the greenspace of the Thames Valley. Dorchester on the Thames Golf Club is only a short hike away. 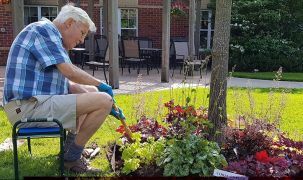 The Terrace is ideal for London and area seniors who are still active and want the very latest in senior living accommodations. The newness of this community is spectacular, found in the spaciousness of the lobby and the bright open feel created by the expansive windows. The bright, contemporary feel extends to personal suites and the amenities they hold, including big closet space, French doors, and individual temperature control. It's on the outskirts of London (only minutes from the 401), with pleasant farm country in one direction and the conveniences of London in the other. If you have family living in London or elsewhere throughout southwestern Ontario, you need to take a closer look. Four dining areas are ready for any occasion or mood, ranging from the casual pub to an elegant, restaurant-style dining hall. Safety and support onsite includes an emergency call system. Nursing staff onsite ensures your daily health, while there is also an exercise room and gym. 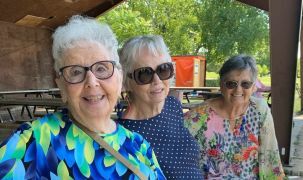 The immediate area is replete with health care services (including dentists and optometrists) and churches representing a variety of denominations. Being a brand new residence, everything is fresh and new. I love the layout of my suite, closets and French doors, the amenities, individual temperature control, air conditioned hallways and the brightness that shines through my windows. 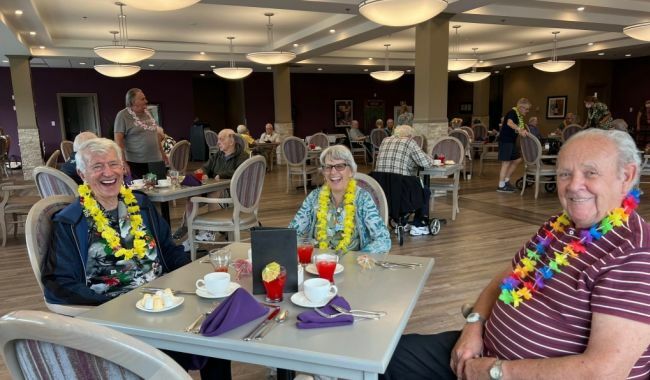 There is so much to enjoy here, including; crafts, euchre, coffee club, bingo and the fitness centre. We loved the cleanliness of the building.